There will be plenty of issues to consider before deciding whether a neighbourhood is going to be ‘right’ for you to live in. You may have had a tour of a house that you think is ideal for both you and your family, if you have one. However, visiting a couple of times to view the house will not paint a true reflection of how happy you will be living there. It’s important to remember that although the house may be perfect, living in a particular place is about far more than that. Amenities such as shops, schools, leisure facilities etc may be equally important, as well as the neighbouring residents themselves. The best way to determine whether a particular neighbourhood would be suitable for you will depend on a number of factors in terms of your own circumstances and personal preferences. Here are a few tips to help you decide. Neighbourhoods can be completely transformed depending on the time of day you visit them. Visiting the neighbourhood early in the morning, from around 7am until 9am, will give you some idea of the number of people who go out to work and, to a point, you can guess the kinds of jobs they have, with regards to whether they’re mostly manual workers, city professionals etc. The types of cars in the driveways may also give you a very rough idea of how affluent a neighbourhood is. At this time of the day, you’ll also be able to see if the road is full of traffic and if it’s a busy thoroughfare for school children. Similarly at lunchtimes, you’ll be able to see if it’s the kind of road children use to hang out on while they're on lunch break, and the same can be said for when they get out of school in mid-afternoon. Early evening is also a good time to gauge how much peace and quiet you might/might not get. From younger kids using the road as a playground to teenagers hanging about on the street corner, both may have an impact upon you and the kind of lifestyle you want for yourself. Later on in the evening from around 10 or 11pm onwards, it’s more a case of finding out whether pubs and takeaway shops might present a nuisance. You might discover elements of Anti-Social Behaviour From The Neighbours and there may be litter strewn all around if you have takeaways nearby. Pay a visit at the weekend too. You might discover things get even noisier. Whatever time of day you visit, there are other telltale signs which can give you an indication of what a particular neighbourhood is like. Kids’ toys strewn all over a garden might be a sign of unruly children and irresponsible parenting, although it’s important to remember that you should not cast blanket judgements. What are the noise levels like and could it Constitute Noise Pollution? This may include loud music to social gatherings of teenagers and people who carry out their hobbies in garages etc. Does it feel comfortable to you and do you feel you would fit in? Neighbouring buildings including churches, schools, pubs, clubs, and factories will all have some kind of impact upon your neighbourhood, whether you perceive that in a positive or negative way. Talking to people about a particular neighbourhood before you move in is often a good way of finding out its pros and cons, although it must be said that you might get differences of opinions, depending on who you ask. If you see a person working in their front garden, for example, you might decide to strike up a conversation with them if you have a hunch that they would be amenable to talk to you. If that seems a little too forward, ask one of the local shopkeepers or even a publican for their thoughts. Ultimately, you can never be completely sure of a neighbourhood before you move in. Remember that residents will often come and go and things like mass job redundancies in a particular location can often entirely transform what were once prosperous and popular neighbourhoods into areas of depression and deprivation. However, it’s still far preferable to do a little bit of research first ‘on the ground’ so to speak, as well as trying to find out what you can glean from the internet and maybe the local newspaper about a particular area. My neighbour who is a social worker is victimising and harassingmyself and my 10 year old daughter who is mentally disabled.The social workers behaviour is causing my daughter to be afraid of her and self harm.The social worker started behaving like this because I spoke to the police about my daughter being bullied by three girls.The social workers behaviour is not safeguarding my child and is causing mentall anguish and must be going against so many rules and regulations.I am desperate for someone to stop her and help my daughter but I keep hitting a brick wall can anyone help. @Sparky. Not necessarily. There are situations where a 'right of access' can be claimed after 20 years but you'd need legal advice from a boundary/right of way specialist to argue the case for you. 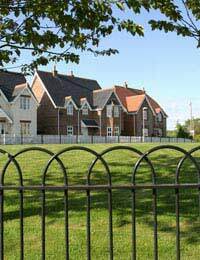 We live in a house that borders several properties.One of the boundaries that is owned by another property continues to place industrial ladders against the fence which are an eyes aw and place a security risk to our property.What can we do ? Definitely check out the neighbourhood at different times of day, but also look at crime statistics for the neighbourhood (you can check online by post code). Talk to local police and councillors to get a better feel for the area and also to people around whom you might see. Every piece of information helps you build up a more complete picture.